Inexperience with the distinctive and dangerous weather of Australia’s Top End led to an in-flight break-up that killed two pilots, the Australian Transport Safety Bureau (ATSB) has found. 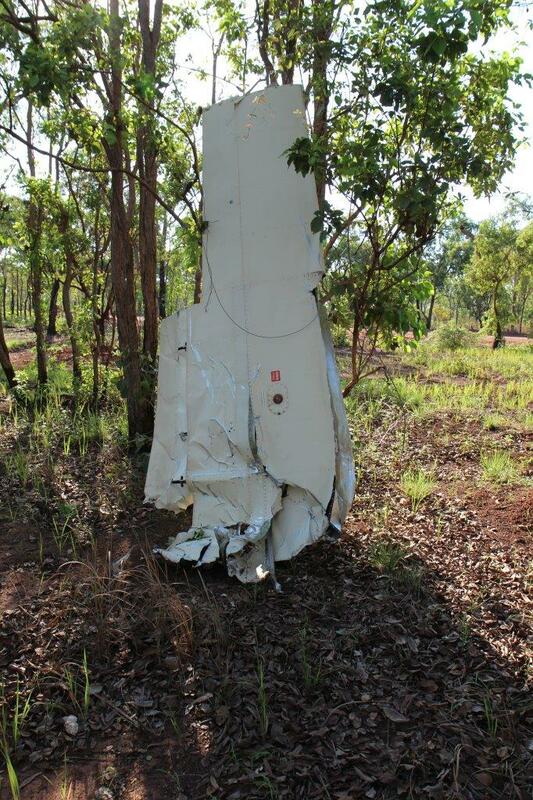 The ATSB yesterday published its final report into the destruction of a Cessna 210 near Darwin on 23 October 2017. The aircraft, with two pilots on board, one operating as pilot-in-command and the other as pilot-in-command-under-supervision, was transporting a body in a coffin to Elcho Island, 530 km east of Darwin. The ATSB found the aircraft had entered an area of strong convective activity with rapidly developing rain cells, despite the pilots making track diversions to avoid severe thunderstorms. The aircraft experienced severe turbulence that separated the wings from the fuselage. The ATSB found this was the result of ‘a combination of airspeed, turbulence and control inputs’, that ‘probably led to excessive loading on the aircraft’s wings’. Both pilots, men aged 33 and 23, were killed. The older pilot, who was under supervision had 381.4 hours, and the supervising pilot had 705.4 hours. The ATSB found neither pilot had experience flying in the ‘build-up’ to the Northern Territory wet season. ‘Although pairing a supervisory pilot with a pilot new to the company was likely to reduce risk in other instances, in this case it did not adequately address the weather-related risks because neither pilot had experience flying in the region during the wet season,’ the ATSB said. ATSB executive director of transport safety, Nat Nagy, said there were several safety messages from the investigation ‘including the recognition and avoidance of tropical weather conditions that present significant hazards to flight’. ‘Particularly challenging is identifying an appropriate distance to keep from thunderstorms, which comes through experience in operating in the tropics. In many cases, deviations of 10 nautical miles may not be enough for an aircraft to remain safely clear of the turbulent and powerful forces associated with storms,’ Mr Nagy said. CASA last year held AvSafety seminars in Darwin on the subject of Top End wet season flying and supplemented these with a webinar, which is still available online and a Flight Safety Australia feature Weather to fly: the Top End. So sad yet so unesesary -:( I remember this accident as I fly into DN during the nasty season and find it challenging myself despite all the aids a high perf jet affords! Some of these TS’s go to the Moon with extreme vertical development & I can’t imagine what those two drivers went thru before and during the inflight breakup, hopefully other inexperienced drivers can learn something here of their poor decision making and not be tempted to fly anywhere near these metal eating monsters!